Since 1883, the State of Wisconsin has maintained an Executive Residence for the Governor. Two separate residences have served this function—the former on East Gilman Street in Madison, and the current on Cambridge Road in Maple Bluff. The first building served as the Executive Residence from 1883 to 1950, and the second from 1950 to the present. 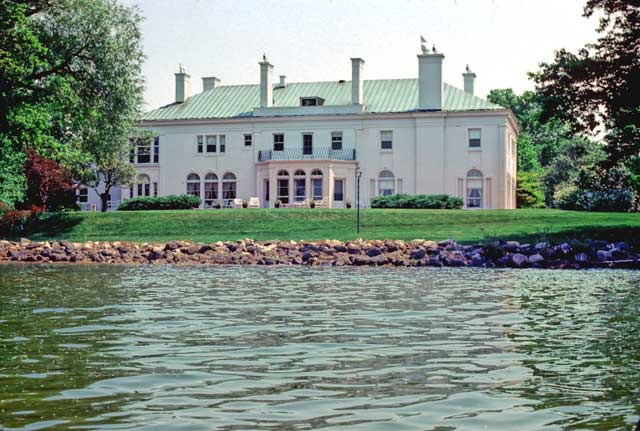 Both buildings began as private residences, and later made the transition to Executive Residences. The Gilman Street house was built sometime around 1854-1856 for Julius T. White. White was a prominent local businessperson and later became a Union General during the Civil War, after which this house became known locally as "The White House." In 1857, White left Madison and sold the house to George P. Delaplaine, who was the private secretary to Wisconsin's first two governors. 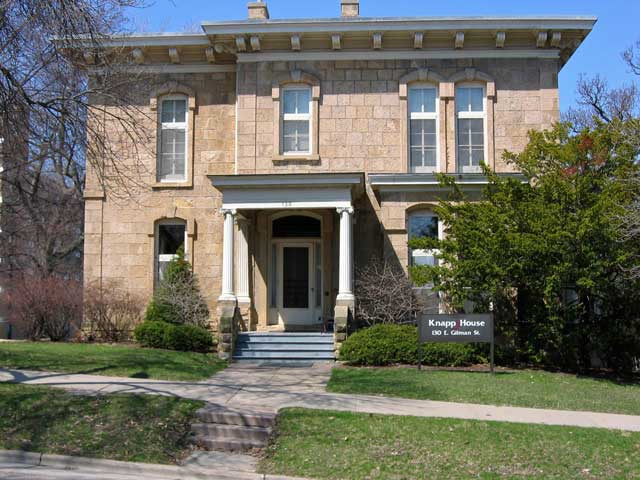 Thorp, a multimillionaire lumber baron who moved from Eau Claire to Madison, purchased the house in 1868. The house became a showplace for Madison's social elite during the 15 years that the Thorps resided there. Following that, Governor Jeremiah Rusk bought the house for $15,000, but then sold the house in 1885 to the State of Wisconsin. From then until 1950, the Governor's Residence on East Gilman Street served as home to 18 Wisconsin governors. 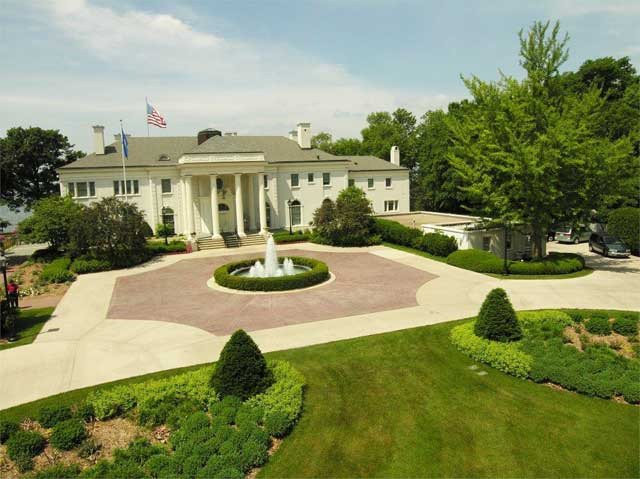 Lobbying began in 1948 to move the Executive Residence to the former home of Carl A. Johnson in Maple Bluff. Johnson was a prominent citizen who had a broad influence on state economic and social affairs. Born in Wisconsin on April 21, 1870 to Norwegian immigrant parents, Johnson was educated in the Madison public schools. In 1891, he graduated from the University of Wisconsin with a degree in Mechanical Engineering. His father, John A. Johnson, was an owner of the Fuller and Johnson Machine Company and founder of the Gisholt Machine Company. Carl A. Johnson recruited Madison architect Frank M. Riley to design his new residence. Riley's credentials made him a clear choice for the job. Born in 1875 and raised in Madison, Riley enrolled at University of Wisconsin in Madison in 1894 to study Civil Engineering. In 1897, Riley transferred to the Massachusetts Institute of Technology (MIT) in Boston where he discovered his passion for architecture. After studying for three years at MIT, he entered the architectural profession as a draftsperson, where he gained practical experience. Over the next decade, Riley traveled around Europe, visiting and sketching historic buildings. In 1914, Riley returned to Madison, Wisconsin, where he spent the remainder of his life. There, he established a solid reputation as a designer and much of Madison's elite class solicited him to design their new residences and businesses. Carl A. Johnson's home was finished in 1927, but he only enjoyed his magnificent new home for four years. Johnson's death resulted in the sale of the property to Thomas R. Hefty. Hefty, the son of Swiss immigrants, was born in New Glarus in March of 1885. He served in World War I and, when he returned, he became Vice President of the First National Bank. Four years later, at the age of 41, First National promoted him to president. 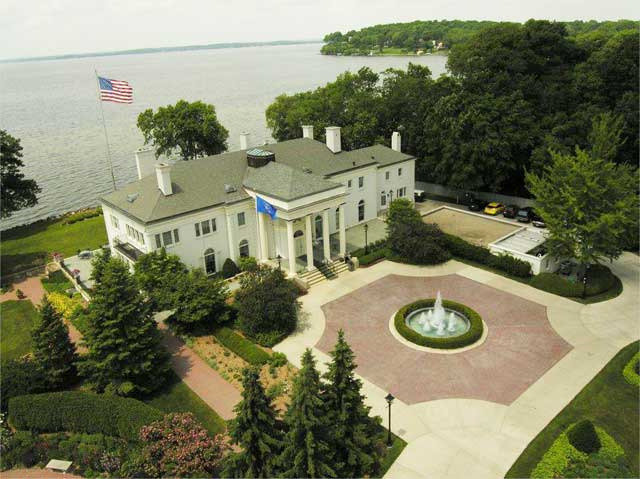 In early 1949, the State of Wisconsin began to show interest in buying the Johnson house for its new Executive Residence, though the idea was met with resistance from state officials. Assemblywoman Ruth Doyle led the opposition mainly because of her concern about the future of the then current Executive Residence at East Gilman Street. Others were concerned about the cost to the taxpayers. Ultimately, the legislature authorized purchase of the Johnson house for $47,500 by a vote of 59 to 35. Mr. and Mrs. Hefty sold the house to the State on July 1, 1949. 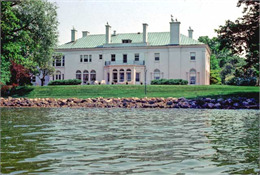 Governor and Mrs. Rennebohm were the new Executive Residence’s first residents. 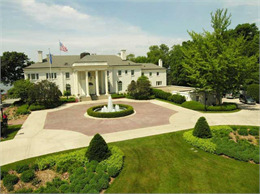 The Executive Residence in Maple Bluff continues as the official governor's residence. See more about the Executive Residence, including information on events and tours.